Spring seems to be just about here! It has been the wettest and coldest winter that I can recall for many, many years. I’ve spent much of the past two weeks following the 2012 antique motorcycle Cannonball run across the USA. The race runs from New York City in the east to San Francisco in the west. The motorcycle currently in 1st place is 99 years old and has completed 1,927 miles so far. Yes, that is a 99 year old machine being ridden coast to coast across the USA. 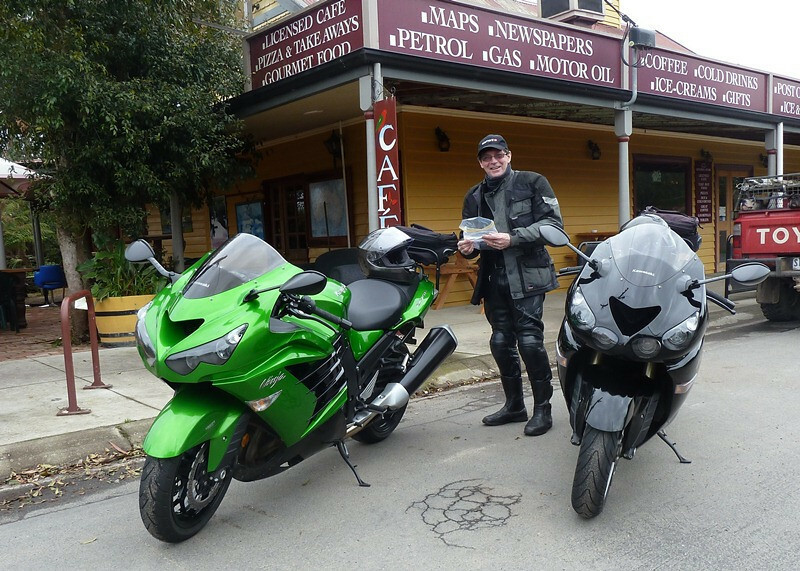 Lots of good info and pics here on the Motorcycle Cannonball dedicated site. Also on their Facebook page linked form there. Another great source of a day to day info of the event is on the Antique Motorcycle Club of USA website. Many of the riders have substantial back up teams and mobile workshops with them. At the other end of the scale is Doug Wothke who rode his 1928 Indian from Alabama to the starting line in NYC alone and has no back up team. Unfortunately Doug has had some serious mechanical failures along the way. 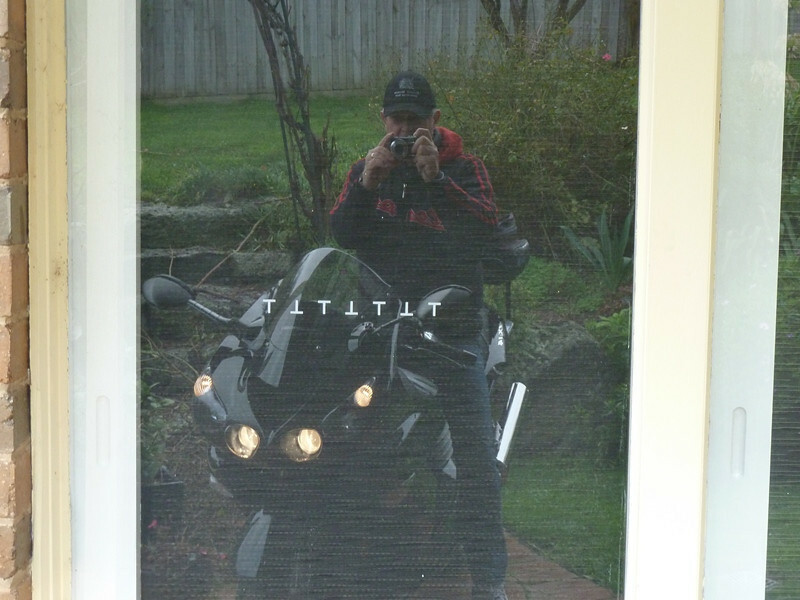 Read all about Doug’s preparation HERE and his postings on ADVrider and you can track him via his SPOT. There is also an Aussie from Melbourne in the race. He is Chris Knoop, riding a rare JAP powered Invincible. 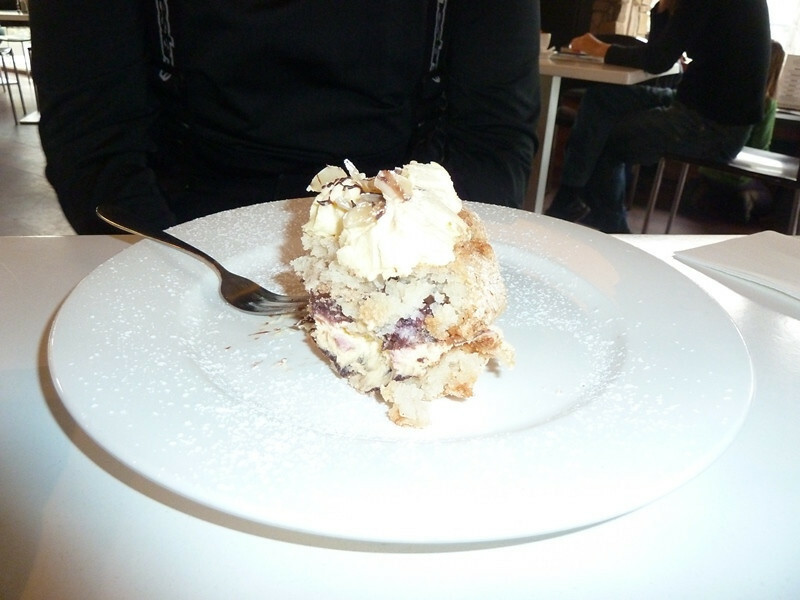 His blog is HERE. I’ve embedded some YouTube video footage below, that really gives a feel for this event, courtesy of Robin Haskell on YouTube. Thanks for sharing this great footage Robin! I bought this device called a PackJack to make chain maintenance easier when away on tour. Our usual routine has been to get a couple of guys and man handle the bike levering the back wheel into the air, using the side stand as a pivot. 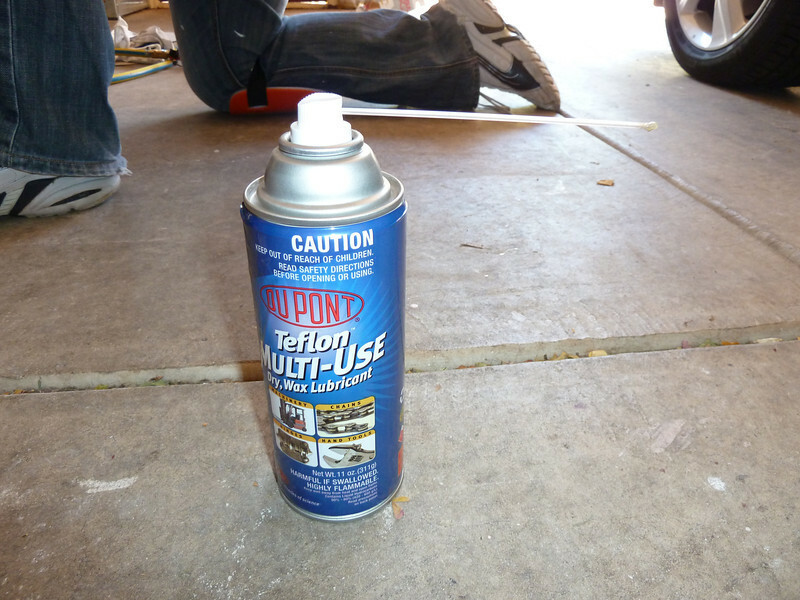 The third person then sprays on the chain lube. 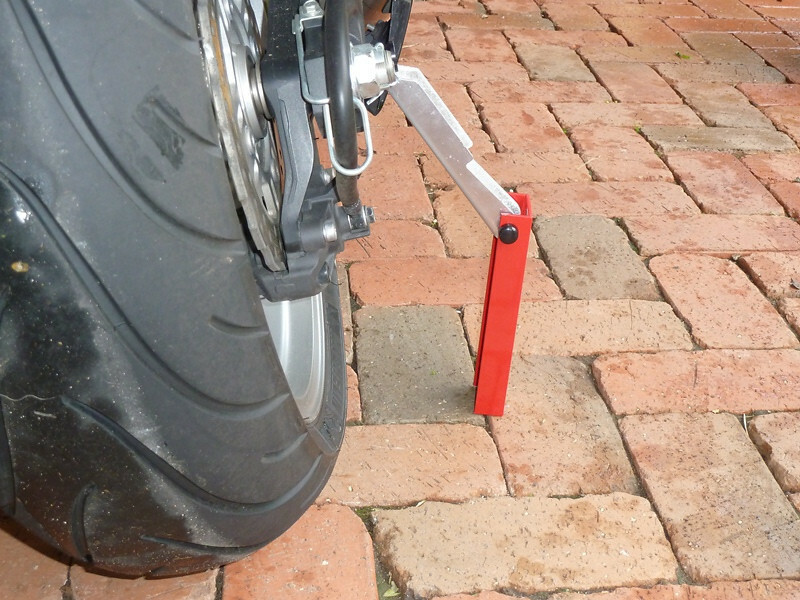 The PackJack is a small temporary stand that eliminates the “two guys”, and lifts the rear wheel a couple of centimetres so that it can be rotated to apply the chain spray. It’s simple, really well made and comes with a small carry sack (pictured). I stress that I purchased this with my own money and did not receive any price reduction incentive to post here. The postage cost from Canada is a bit of a killer at $20 CAD and brings the total cost to around $50 delivered to Aust – which is pretty pricey. Here’s a LINK to the PackJack website with some video. For some reason I can’t embed any video on my blog at present. When I release the stand, my PackJack doesn’t just fold back as in the video – mine typically just falls over or flys off a bit. 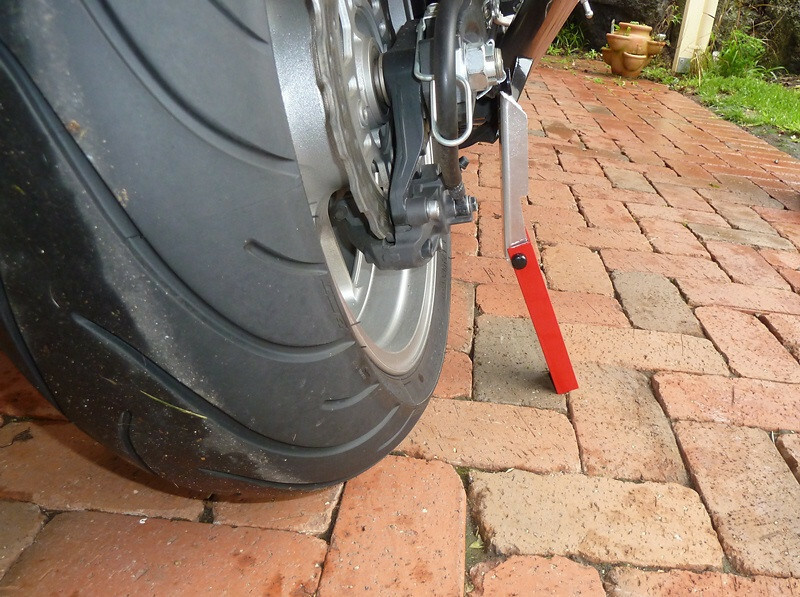 However, I’m guessing that this is a function of releasing the lift on such a heavy (250 kilogram) bike. 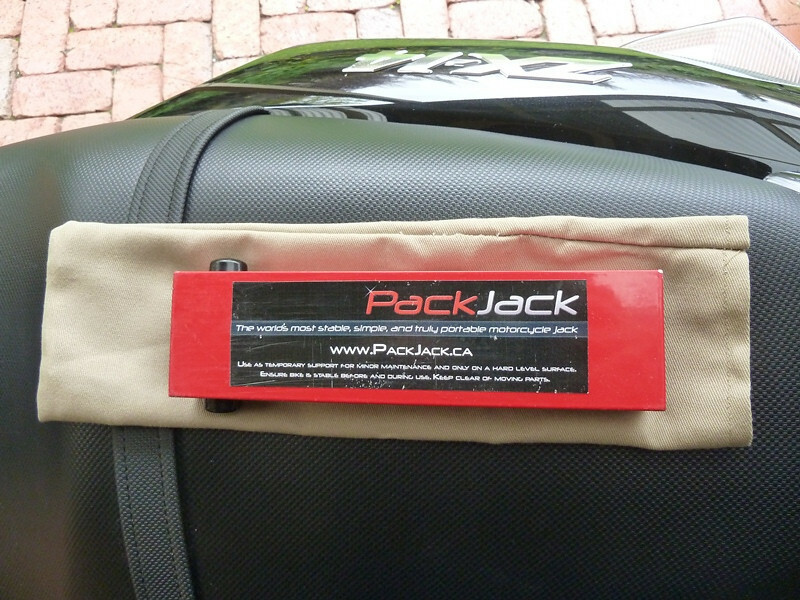 I emailed Greg from PackJack with a couple of questions about the stand before I purchased it and experienced prompt, friendly communication which made the online transaction easy and personal. ……. 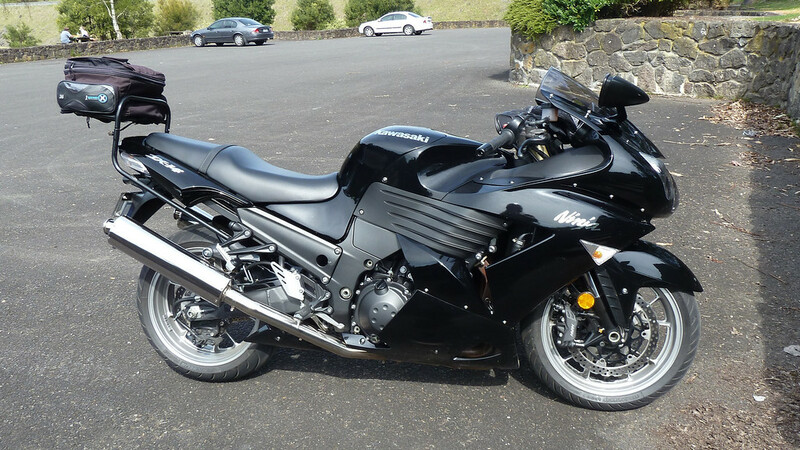 on your new Hayabusa! 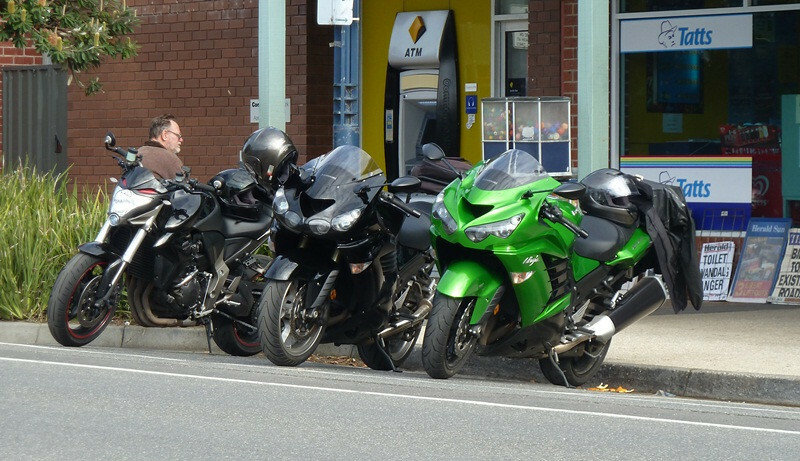 When I checked into our motel in Christchurch, New Zealand earlier this year I noticed that the owner had a couple of pics of GSXR Suzukis in the office, so naturally we got talking motorcycles. 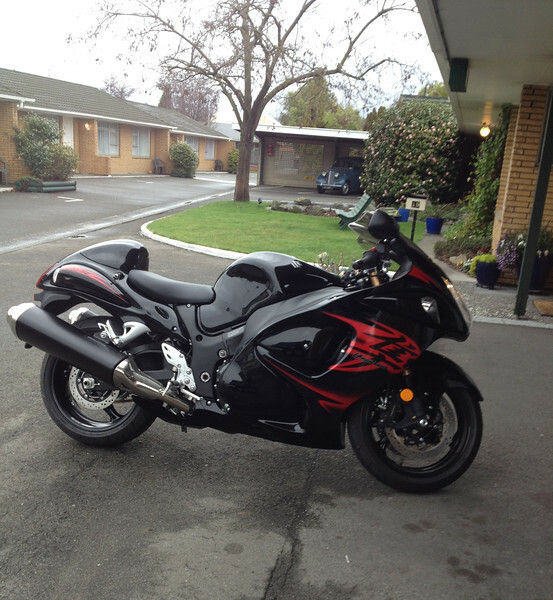 Iain didn’t have a motorcycle at the time, but now he has. It wasn’t like they said …..
Fog then fine and sunny was the forecast. Well, not where we went, though we started in sunshine. It lasted about 10 mins then we rode in fog for 20 min. After that it was overcast, then drizzly, then foggy and drizzly, then sunny, then raining! 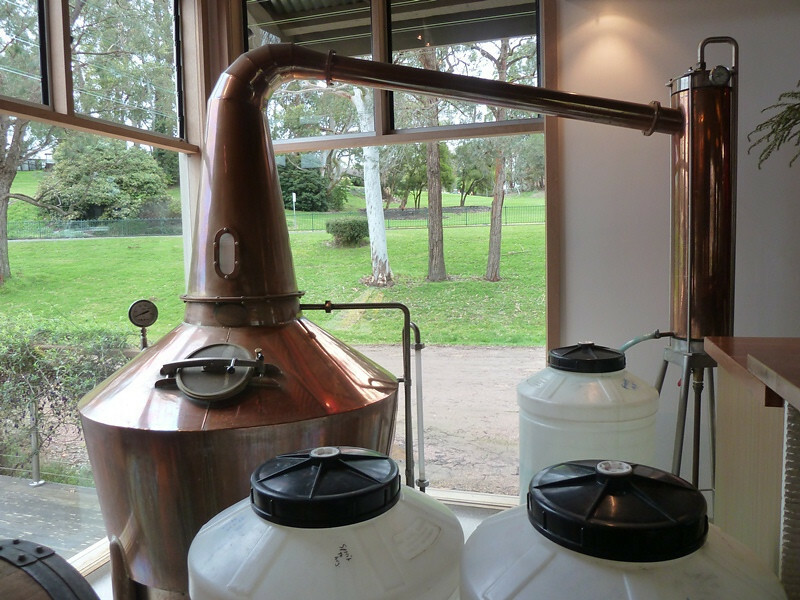 The whole time it remained a sunny winter’s day in Geelong – just as forecast! 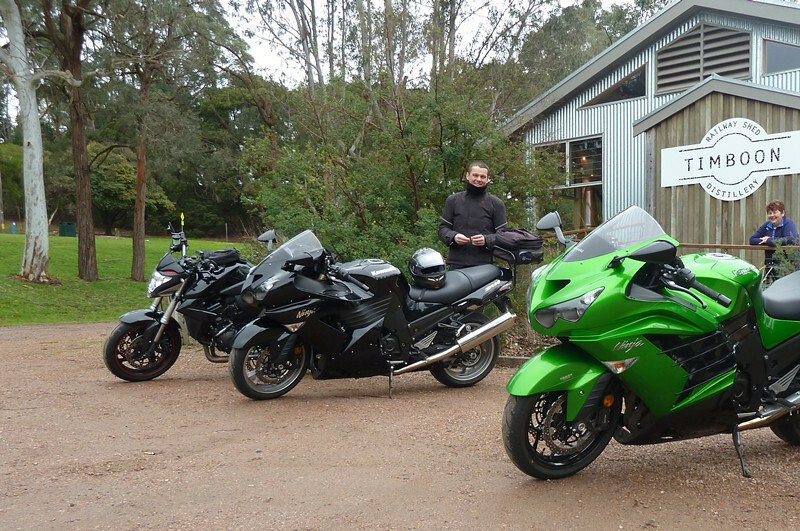 We had a great ride nevertheless.375 kms is pretty good for a winter’s day in these parts. 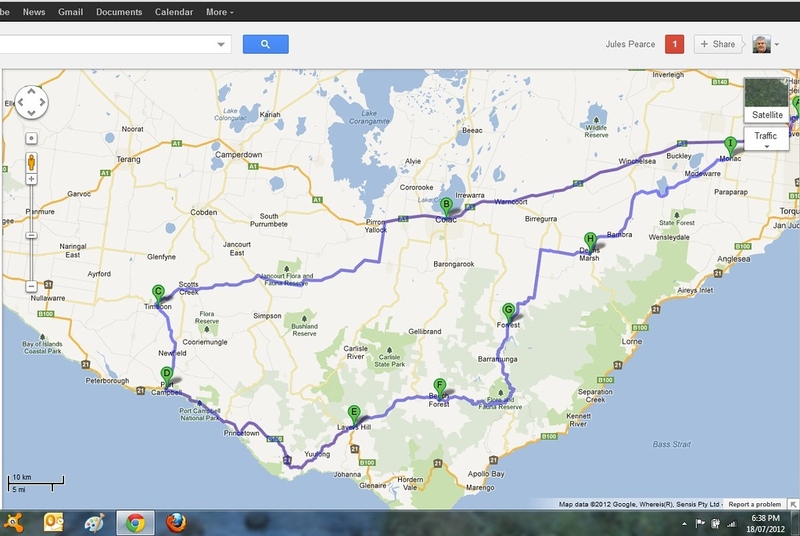 Our route – Geelong to Timboon via Colac. 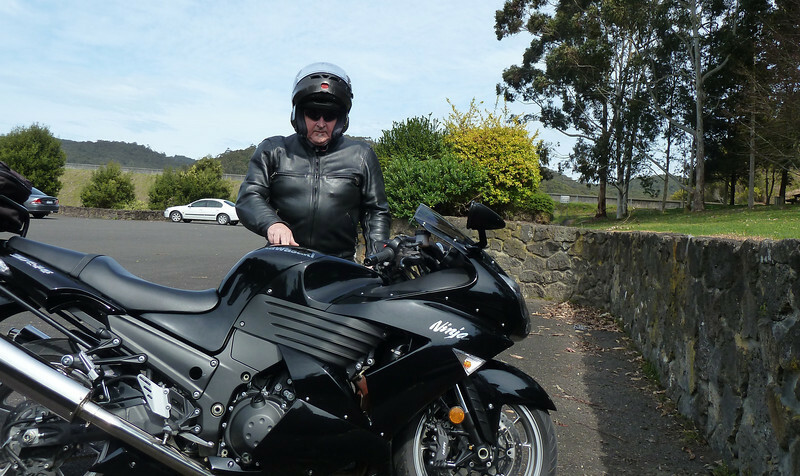 Timboon to Apollo Bay via Port Campbell, the 12 Apostles and Lavers Hill – some of that GOR leg was in fog and drizzle. Some fans. Marty’s relieved to have some respite! “She could talk under wet cement” is the phrase that comes to mind! She’s still talking! 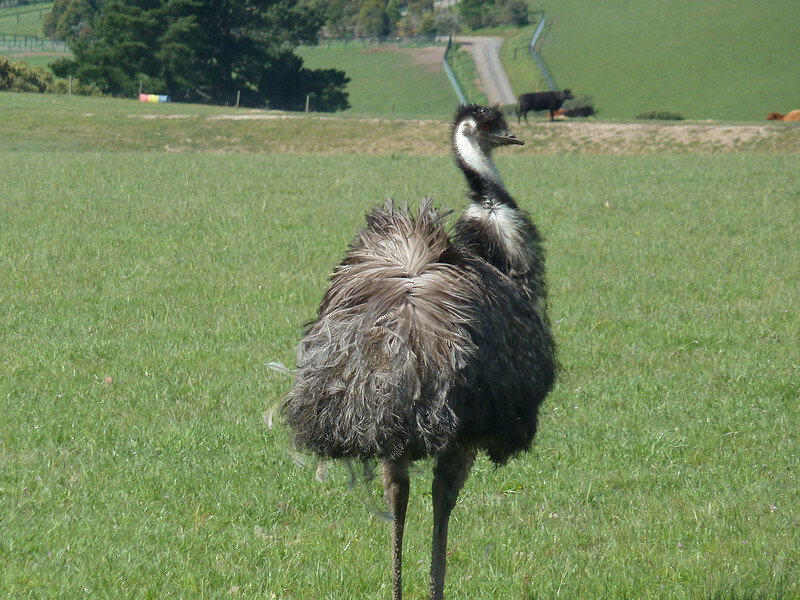 …..get those earplugs in Mitch! 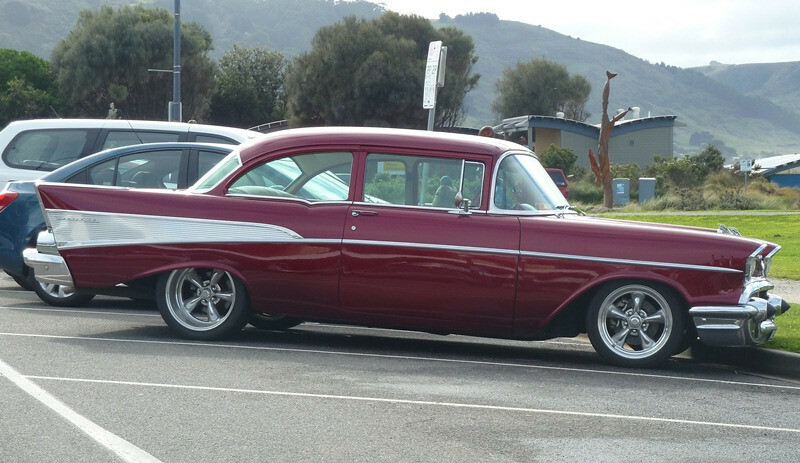 A ’57 I think. It sounded so sweet. A sensational V8 rumble as they took off. Mitch headed home via the GOR, Marty and I went visiting, then headed home via Forrest with a stop at the brewery, though nothing but hot chocolates passed our lips. 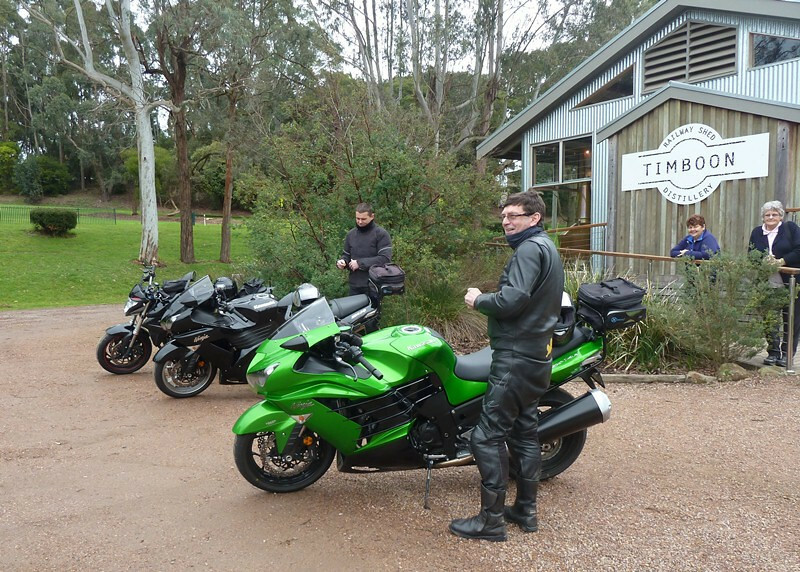 Despite some wet roads and less than ideal conditions, we had a sensational day of riding.